Redmi Y3 is launching on April 24. The company has sent invites for an event in Delhi. The phone will have a 32MP Super Selfie camera housed in a waterdrop notch. Xiaomi sub-brand Redmi will launch its third Y-Series phone, the Redmi Y3, on April 24 in India, and the company has sent out invites for an event taking place in Delhi. The invite suggests that the phone will have a waterdrop notch. 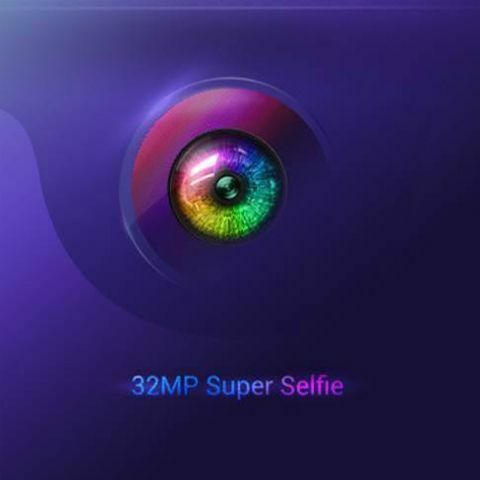 The USP of the Redmi Y3 is its 32MP Super Selfie camera. It will be a successor to the selfie-centric Redmi Y2 (Review) smartphone that was launched in June last year. Redmi has already started teasing the phone on various social media platforms. Manu Kumar Jain, Global Vice President and Managing Director of Xiaomi India had teased the phone on Twitter. He said that he clicked ‘32’ selfies with ‘32’ Xiaomi colleagues, but later wondered ‘Y’ was he taking so many selfies? This was a clear hint that a new selfie-centric Y-Series phone with 32MP front camera. Meanwhile, Amazon has made a Redmi Y3 microsite live hinting that the phone would launch on Amazon India. The microsite hints that the Redmi Y3's selfie camera can click portrait shots. The device will be powered by an unidentified Qualcomm Snapdragon prosessor and a good battery life. The microsite says, "Don't let drops and spills spoil the fun," suggesting the phone may come with an IP67 rating. Although the information about the Redmi Y3 is scarce, it was spotted on a Wi-Fi certification website last month. The listing suggested that the device bears a M1810F6G, and runs on Android 9 Pie with MIUI 10 on top. There is no information on what’s under the hood, but the reports hint that the phone could be powered by a better processor than the Redmi 7, which is powered by the Snapdragon 632 mobile platform. When it comes to the price, the phone could launch around Rs 10,000. The 3GB/32GB and 4GB/64GB models of the Redmi Y2 were priced at Rs 10,499 and Rs 13,999 respectively. The phone sports a 5.99-inch HD+ display and is powered by a 14nm Snapdragon 625 SoC. It is equipped with a 16MP front-facing camera with f/2.0 aperture, and Pixel Binning technology. On the rear, the Redmi Y2 comes equipped with a 12MP + 5MP camera setup and is backed by a 3080mAh battery. How do to print a confirmation page on a cannon mf4770n? can we compare Redmi 1s 8mp camera with BlackBerry z10 8MP camera?